Deals – Use below coupon code and get upto 20% cashback at 5 star hotel restaurant at Lido Hyatt Bangalore MG Road Ulsoor Bangalore deals. You can buy other deals on nearbuy using those cashback. 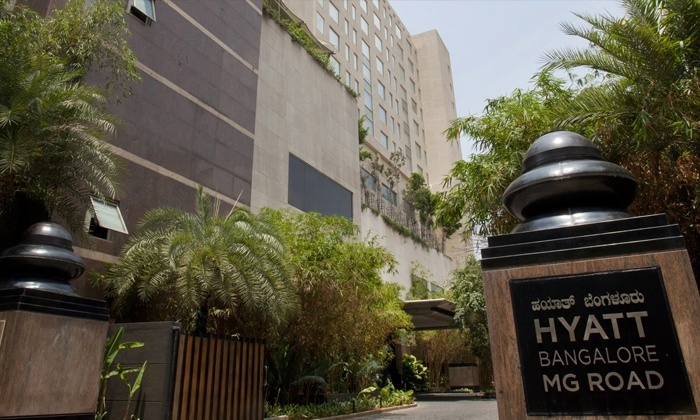 Hyatt, Bangalore is located on MG Road and offers a wide range of luxury or business services like limousine service, 24 hour room and reception service, secure parking facilities as well as an extensive business center, providing secretarial support and office equipment rental. Lido is the in-house all-day dining restaurant that overlooks the aquamarine blue pool and offers a wide range of Indian and International specialties.